Get the 4-H Inspire Kids to Do Activity Guide for 60 inspirational activities to help your kid grow into a True Leader. Thank you for helping make 30 Days of Doing a huge success! Last September, we saw 1,059,083 kids doing with purpose around the nation. Keep the momentum going and help inspire even more kids to do, learn and grow. We took our favorite user-generated ideas, contest entries and activities from 30 Days of Doing and created a 4-H Inspire Kids to Do Activity Guide with 60 hands-on activities to help your child continue doing and learning. Download the Activity Guide today and you'll also receive an Inspire to Do List with 30 more activities for your kid. Preview the Activity Guide below! I’d like to recieve communications from National 4-H Council and/or state offices. Last September, thousands of parents around the country shared how their kids are inspired to do with purpose. We're excited to announce that Jalen from Indiana is our Inspire Kids to Do contest winner! When Jalen lost her German Shepherd and best friend, Samson, to cancer, she believed he would have wanted her to give another dog a loving home. In honor of his memory, Jalen became inspired to help dogs in need by volunteering with the non-profit organization Prison Greyhounds. When Jalen lost her German Shepherd and best friend, Samson, to cancer, she believed he would have wanted her to give another dog a loving home. In honor of his memory, Jalen became inspired to help dogs in need by volunteering with the non-profit organization Prison Greyhounds. As a volunteer, Jalen provides foster care to newly retired professional racing greyhounds until they find their forever home. Familiar only with life at the racetrack, newly retired greyhounds don't understand the routine of daily life. For instance, they aren't familiar with windows or furniture because they've never had the opportunity to live in a home. Jalen teaches the dogs how to climb stairs and play and live as the family pet they were always meant to be. After newly retired racing greyhounds arrive in Indiana, some are adopted on site, some move into foster homes, and others go to Pendleton Correctional facility where they're matched with offender-handlers to learn basic house manners in preparation for adoption. Upon graduation, these dogs may be adopted or need foster care until an adopter is found. As a Prison Greyhounds volunteer, Jalen gives the retired racing greyhounds the opportunity to leave the racetrack behind to live in a home as a family pet and helps give inmates the opportunity to work with the community and rehabilitate by working with the retired greyhounds. Select a day to see hands-on activities, doers of the week and other exciting content. Bianca is a budding author and has published two books about a group of best friends experiencing different adventures. Since she was seven, Bianca has spent her Saturday mornings drawing story ideas and asking her mom to type the story while she narrated. Bianca has published two books about a group of best friends experiencing different adventures. As a way to inspire other kids and share her love of literature, Bianca volunteers to read her books to classes at school, the public library, and book festivals. Bianca’s message is simple: you’re never too young to accomplish any task and it’s important to be creative! Build a bird feeder – monitor it for a week and log the types of birds. Alex, Bailey, Cara, Nicole and Shashank created a map of composting sites and food banks in their community to reduce food waste. After realizing how much food is wasted in schools and restaurants, this group of kids from California created a map of composting sites and food banks in their community and learned to distinguish types of waste. They conducted a waste audit at their school that improved the use of recycling bins. In touring their local Bayer facility, the teens discovered how food waste can be minimized in commercial kitchens. These Doers of the Day are made possible by Bayer. Grow vegetables in an egg carton. Learn how to cook and preserve them. Leah, Elizabeth, Livy and Abigail addressed the need for equine rider safety through a new, innovative product. This group of teens from Pennsylvania wanted to address the need for equine rider safety. If a rider is injured in an accident, the group’s product is designed to mount on the side of a helmet to give emergency responders access to medical information about the rider. The team is in negotiations for product sales in the equine helmet industry and hopes to make this a required part of the 4‑H horse program in Pennsylvania. Take a tour of a farm or nursery in your area. Ask three questions about the plants or animals. 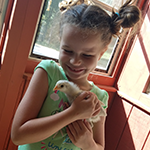 Brooke’s 4‑H livestock projects have taught her about agricultural science, where food comes from, modern medicine in humans and animals, and more. Brooke credits her love for agriscience as one of the leading factors that has made her who she is and who she will be. The livestock projects she has done in 4‑H taught her about the science involved in animal agriculture, where food comes from, modern medicine in humans and animals, finance and leadership. 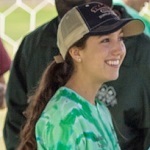 She learned how to lead groups and serve as a mentor in the livestock industry. This Doer of the Day is made possible by Bayer. Research your favorite wild animal, then visit the zoo to see them up close and share the facts you learned. See if you can identify the different types of vertebrates. Cassandra developed a kit that tracks five types of engineering, providing STEM resources to rural youth. From an early age, Cassandra knew there was something different about 4‑H. The celebration of different interests and strengths among 4‑H’ers created a unity she hadn’t found elsewhere. To build on this unique offering and provide equal opportunities to kids everywhere, Cassandra developed the “Incredible Machine,” a curriculum and activities kit that tracks five types of engineering: chemical, mechanical, software, civil and electrical. She won a grant to develop 10 kits to provide STEM resources to youth in rural communities. She has presented her curriculum for various communities and events across the nation. This Doer of the Day is made possible by HughesNet. Start a neighborhood nature club – teach kids about nature in their backyard. Thaddeus has helped to introduce STEM and robotics to more than 6,000 youth across Illinois. Thaddeus has been a mentor for FIRST Lego League and the Illinois State Robotics Competition teams for four years. 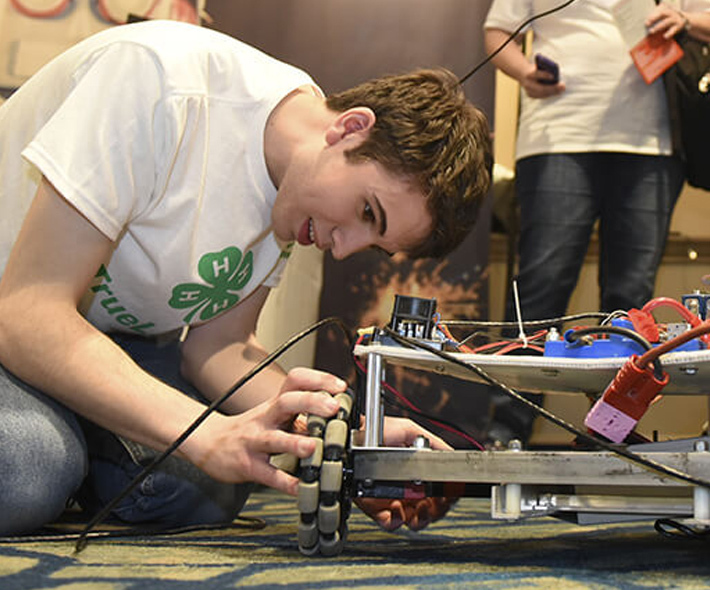 Over the course of his work in 4‑H, he has helped to introduce STEM and robotics to more than 6,000 youth across Illinois. Raise butterflies and track their stages of life. Check out a few celebrity 4‑H Grown alumni who are rallying together to inspire kids to do. Keyshawn is a healthy living leader who hopes to bring adults and youth together through a community advisory board that helps residents live healthier lives. 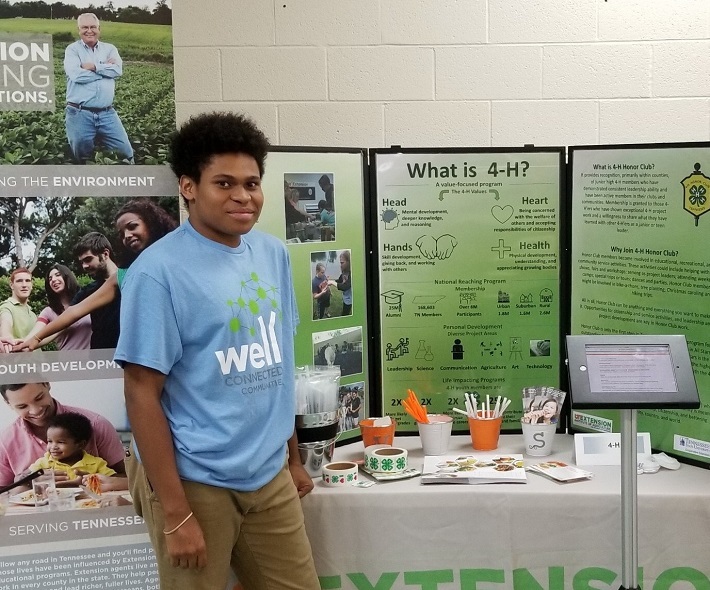 Newly introduced to Tennessee 4‑H, Keyshawn was quiet and reserved in groups and meetings, but quickly found his voice and became a healthy living leader by joining local boards, leading community needs assessments and completing leadership training to further his leadership skills. Keyshawn hopes to bring adults and youth together through the community advisory board to help Meigs County residents live healthier lives. This Doer of the Day is made possible by the Well Connected Communities initiative, which is supported by the Robert Wood Johnson Foundation. Plant your favorite herbs in a mason jar – look for recipes to use them as they grow. Riley, Maggie, Kylie, Alyssa, and Zach developed an after-school program that teaches robotics, coding and digital skills. This group of 4‑H’ers in Brown County, Wisconsin, realized that kids began to lose interest in STEM during middle school. Based on their research into the interests of middle schoolers and their perceptions of STEM, these Tech Changemakers have developed a new afterschool program that teaches exciting robotics, coding and digital skills. The program will eventually be rolled out to schools across their county. These Doers of the Day are made possible by Microsoft. Pick wild flowers and press them in a book to log and preserve them. Lexie created a non-profit that provides wigs, head coverings, bras and prosthesis for women suffering from breast cancer. Inspired by her grandmother’s battle with cancer, Oklahoma 4‑H’er, Lexie, created “TLC Wig Closet,” a non-profit that provides wigs, head coverings, bras and prosthesis for women suffering from breast cancer. Through her 4‑H experience, she spoke at the Pink Ribbon Luncheon and gave presentations to the Federal Board of Education. Make and deliver cheerful cards to local senior citizen homes. Joel, Suhjin, Arthur, Maya, Cade, and Zoe created a “peer web of support” to address mental health issues in their community. This innovative group of teens created a “peer web of support” to address mental health issues in their community. Through a partnership with their local government, they provide teens with a safe space at a “Teen Tech Cafe” where the attendees have free and open access to fun, social tech activities, while also spreading awareness about resources to help them cope with mental health concerns. Make Fizzy Foam to learn about chemical reactions. Amelia created “Operation: Veteran Smiles,” a nonprofit that provides care packages, notes of encouragement and musical therapy to veterans. At age 13, Amelia saw firsthand how much veterans need our encouragement and support when she visited a local VA hospital. She created her own nonprofit, “Operation: Veteran Smiles,” to provide care packages with toiletries and essential supplies, notes of encouragement and musical therapy to veterans in Georgia and beyond. Over the past five years, the nonprofit has touched 15 states, impacted more than 10,000 veterans and engaged more than 6,500 volunteers with the help of 4‑H clubs, volunteers and grants. Hold an egg drop challenge – build containers to keep the egg from cracking. Katie broke a GUINNESS WORLD RECORDS™ title in a very 4‑H way! At only 11 years old, Katie Borka (USA) is the Guinness World Records title holder for the Most four-leaf clovers collected in one hour (individual). She achieved this feat in Spotsylvania, Virginia, USA, on 23 June 2018 with a total of 166 clovers. This Doer of the Day is made possible by Guinness World Records. Make a paper boat and host a boat race. Alex was inspired to create art work and make a care package for Grandparents Day to let his grandparents know how much he loves them. Hold a neighborhood car wash in support of a local shelter. 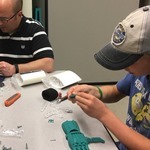 Joseph created the group “Helping Hands,” which designs, prints and assembles prosthetic hands for children. While volunteering for 4‑H, Joseph met a little boy without a hand who changed his life. His 4‑H mentor offered to print and create the boy a hand with Joseph’s help. He quickly learned that many children who need prosthetic hands don’t get them because it’s costly to get new prosthetics every year as the kids grow. This Doer of the Day is made possible by Microsoft. Learn how to generate electricity by making a lemon battery. Maggie uses the skills she learned in 4‑H to help those in need, including creating a fundraiser to help the Capital Area Humane Society. Maggie has been in 4‑H since she was five and loves engaging her fellow 4‑H’ers in community service projects to help those in need. For the past three years, the club has done a winter sewing project to make weighted blankets and quilts that are donated to a children’s hospital. Inspired to use her skills to do more, Maggie also developed a fun and unique fundraiser where she sewed costumes for guinea pigs, photographed them and created a calendar that she sold to benefit the Capital Area Humane Society. She raised over $800 in her first year and plans to continue this tradition annually. Volunteer as a dog walker once a week at a local shelter. Sophia developed “Tie Dye for Troops,” a program to help kids understand mental health issues that many vets experience. Sophia knew that she wanted to help other military families like hers once her Dad was diagnosed with post traumatic stress disorder (PTSD). She developed the program “Tie Dye for Troops” with her 4‑H agent as a way to help kids understand mental health issues like PTSD. Since the program’s conception, the Georgia 4‑H’er has trained more than 150 youth and adults and has impacted more than 500 kids nationwide. Write a thank you letter to someone who has impacted your community. Olivia was inspired to create her own doll house props out of modeling clay. She put her talents to work to mold a tropical island with grapes and a basket of bananas. Create care packages for those who are homeless in your community. After learning about glass artist Dale Chihuly at school, Kevin went to a local glass shop and participated in a workshop to learn the fundamentals of glass blowing. Kevin was inspired to try something new! After learning about glass artist Dale Chihuly at school, Kevin wanted to try glass blowing for himself. He went to a local glass shop and participated in a workshop to learn the fundamentals of glass blowing. After watching a few demonstrations, he was able to blow his own glass ornament, which enhanced the lessons he learned at school. Afterwards, Kevin shared his ornament with his teachers at school. Volunteer to help senior citizens in your neighborhood with technology and household chores. Ashlynn uses the healthy habits skills she learned through 4‑H to provide nutrition and physical activity training to youth. As a 4‑H Healthy Living teen ambassador in Lancaster County, Nebraska, Ashlynn is passionate about teaching kids how to live healthy lives. Through 4‑H, Ashlynn has had the opportunity to travel to Washington, D.C. to attend Healthy Habits Training. Using the skills she learned from the training, she worked with her 4‑H mentor to plan and deliver nine hours of nutrition and physical activity education to 46 youth so far! This Doer of the Day is made possible by Walmart. As a family, learn about and eat a new vegetable in a meal each week. More than 250 runners particpated in “Color Me Green Run,” a race that Bryanne created to encourage youth and adults to stay active. 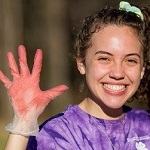 As her 4‑H club’s Healthy Living Officer, Bryanne launched an annual “Color Me Green Run.” More than 250 runners participated in this fun, three-mile race that encouraged youth and adults to stay active. Realizing that a healthy lifestyle includes both physical and mental well-being, Bryanne partnered with Creating Community Solutions to organize a “Text, Talk, Act” forum that provided more than 200 youth with the opportunity to discuss these topics in a healthy environment. Set a time for a family yoga session to release stress and introduce the concept of mindfulness. Rhea used her sewing skills to create an original dress design, which she brought to life as part of the 4‑H JOANN fashion design contest. Sewing helps develop many skills such as entrepreneurship, design, math and finance. Rhea created an original dress design, which she brought to life with her sewing skills as part of the 4‑H JOANN fashion design contest. She took first place with her stunning dress and will get the opportunity to tour the JOANN Fabrics and Crafts store headquarters. This Doer of the Day is made possible by JOANN. Create a gratitude journal – help your kid learn to notice and appreciate the little things. Molly’s program, Clover Confidence BFF, helps women grow their confidence, feel empowered and have a positive beauty image. Molly has struggled with self-confidence since she was bullied in elementary school. Through 4‑H, she has overcome those struggles and has been inspired to take action to become physically and mentally healthy. Now, she seeks to make a difference in the lives of other young women through her program, Clover Confidence BFF (Building Fearless Females). Striving to combat depression and suicide, her annual event encourages young women in the areas of confidence, relationships, empowerment and positive beauty image. Plan, shop for and prepare healthy meals on a budget once a week. Eva, Jacob, Samantha, and Kate helped educate their community about the importance of proper water management and conservation. This Kansas group wanted to educate their community about the importance of proper water management and conservation in a suburban setting. The teens created hands-on learning kits and lesson plans, and delivered them to local teachers to help educate students about the role they play in conserving water. Organize a neighborhood food drive for a local shelter or food pantry. Emily, Drachen, Aimee, Sophia, and Benjamin raised awareness about recycling stretch plastics through their “4‑H PULP” (Please Use Less Plastic) campaign. These five Missouri teens worked together to raise awareness about recycling stretch plastics through their “4‑H PULP” (Please Use Less Plastic) campaign. The campaign garnered pledges from community members to use less plastic in exchange for reusable grocery bags. They engaged young kids during the campaign by doing crafts with plastic bottle caps to demonstrate how to reuse plastics. Pick up trash in a local park. Elijah helped plan and deliver over 20 hours of nutrition and physical activity education to 685 kids. Elijah is an athlete and knows the importance of staying fit and eating healthy. He volunteered as a teen ambassador in his community and worked with his 4‑H Extension mentor to plan and deliver over 20 hours of nutrition and physical activity education to 685 kids. He promoted these events as an ambassador on multiple radio interviews and served on a school wellness committee. Go on a hike or go to the neighborhood park and draw the view. Learn how to build a camp fire and make a tinfoil dinner. Dip your own crayon candle – watch solid wax evaporate into gas. Make homemade bath bombs and gift them to a friend. After struggling at school and home as a kid, Russell found a community in 4‑H where he realized his passion for STEM. Russell lived in a community where the pressure to make bad choices was overwhelming. He struggled in school and at home, became a target of bullying, and felt there was nowhere he truly belonged. All of that changed when Russell was introduced to a local 4‑H agent when he was 12, whom he credits with turning his life around. For the first time, Russell belonged to a community of kids who welcomed him with open arms and cheered him on as he realized his passion for STEM. 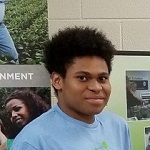 Once a struggling student with no direction or sense of belonging, Russell finished high school on the Honor Roll and is now attending college with a full scholarship, where he’s pursuing a degree in computer science. This Doer of the Day is made possible by Google. Build a robot that draws on paper. While being treated in the hospital for cancer at age 11, Arianna discovered her passion for coding and computer science. Learn how to code your names and see who has the best design. Brainstorm and practice making healthy snacks that also taste good. Evan is inspired to do hands-on science experiments, including creating different types of slime! Evan loves learning science in a group setting, and understands it better when he can experience it firsthand. He has created different types of slime to see how the half-solid/half-liquid creations blend together. He also learned how to create a chemical reaction with yeast, dish soap and hydrogen peroxide. Evan is inspired to do! Practice eight yoga poses that you can do along with the 4‑H pledge. Create a “calm jar” by printing cards with calm phrases, putting them in a glass jar and reading them aloud one by one. This activity helps boost confidence and optimism. Learn to code your names through the National Youth Science Day challenge and see who has the best design. Learn about circuits and electricity by building a light up “science bug” necklace. Brought to you by HughesNet. Mekhi learned how to make wontons in Shanghai. Mekhi discovered a passion for cooking in Shanghai where he learned to make wontons. He loves to put his new cooking skills to good use to help make food for his family. Research global hunger issues, discuss with your family and think of ways you can help in your community. Create and decorate your own homemade butterfly using craft materials. Then, hang it in your bedroom window. 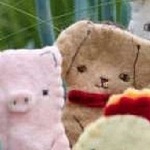 Make a set of farm animal finger puppets. Watch this video tutorial for full instructions to make these fun animals. Brought to you by JOANN. Create a colorful flower display to decorate your home or classroom. Learn food science in a fun and yummy way by baking bread in a bag. Demetra was inspired to create and sell jewelry in her local community market. Demetra was inspired to create and sell jewelry in her community market. She longed to be a part of the market, dreaming of items to craft and eventually deciding to bead jewelry. Through her work in the community market, Demetra has learned about hard work, the value of a dollar and the importance of a local economy. Most importantly, she has met the town’s local farmers and artisans, learning about their work and adding her own voice and presence to her community. Build a four-wheeled car from items found in your home, learning about the engineering design process and physics! Brought to you by Guinness World Records. Using yarn and a plastic needle, sew a burlap bag from a rectangle of burlap fabric. Using a cardboard box and a sprouting potato, learn about the obstacles plants will overcome to find the light they need grow. Participate in National Youth Science Day and learn computer science through fun, hands-on activities. Buy your kit now to get started. Decorate a hand-held mirror with stickers, glitter, or faux flowers to encourage a positive self image. Don’t be square – have a go at the record for the fastest time to make a modular origami cube! Ella is inspired to use her love of science to help stop cheetahs from becoming extinct in Namibia. Ella loves science and investigating all the wonders of the world. “If I get really good at science, one day I can rescue Cheetahs and other animals,” Ella told her mom. Her dream is to travel to Namibia and help stop cheetahs from becoming extinct. She even started her own cat sitting business! Instead of birthday or holiday gifts, Ella requests donations to organizations in Namibia to help save the cheetahs. Ella will change the world, one Cheetah at a time. Practice washing your hands to keep you and your family better protected from germs. Use Hot Wheels cars to explore Isaac Newton’s concepts of force and friction. Brought to you by HughesNet. Create cards and care packages for residents at your local VA or nursing home. Practice math skills with even the littlest of kids by counting and categorizing M&Ms—if you can resist the temptation! 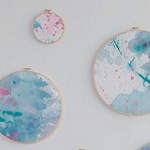 Watch this tutorial to learn how to transform painted cotton fabric into bold, abstract wall décor. Brought to you by JOANN. Try an activity called Art Bot, which allows students to build a robot that can draw by itself. Learn computer science at home or in the classroom through the National Youth Science Day challenge, Code Your World. Johnieann learned about citrus trees during a 4‑H workshop and applied her knowledge firsthand by raising her own citrus trees. Florida’s 4‑H program encourages kids to learn about the state’s major cash crop: citrus. Johnieann learned about citrus trees during a 4‑H workshop and had an opportunity to apply her knowledge firsthand by raising her own citrus trees to show in the 4‑H state fair. Create a “luau bash” to promote a healthy lifestyle through dancing and doing the limbo! Build a windmill and use it to power a pulley system to lift a bucket, learning how wind can be converted into energy. Brought to you by HughesNet. Use toothpicks and gumballs to build a small bridge. Then, discuss characteristics of real bridges with a friend or parent to learn about engineering. Learn about the principles of buoyancy with this fun “magic trick” using only simple household items! Build a robot for less than $.50 in just 20 minutes! Watch this tutorial to practice making vibrant, textural prints to decorate scarves or home décor. Congratulations to Jalen, our Inspire Kids to Do contest winner! In honor of her German Shepherd, Jalen became inspired to volunteer with the non-profit organization, Prison Greyhounds. As a volunteer, Jalen provides foster care to newly retired professional racing greyhounds until they find their forever home. Familiar only with life at the racetrack, newly retired greyhounds don’t understand the routine of daily life. For instance, they aren’t familiar with windows or furniture because they’ve never had the opportunity to live in a home. Jalen teaches the dogs how to climb stairs and play and live as the family pet they were always meant to be. After newly retired racing greyhounds arrive in Indiana, some are adopted on site, some move into foster homes, and others go to Pendleton Correctional facility where they’re matched with handlers in the prison to learn basic house manners in preparation for adoption. Upon graduation, these dogs may be adopted or need foster care until an adopter is found. As a Prison Greyhounds volunteer, Jalen gives the retired racing greyhounds the opportunity to leave the racetrack behind to live in a home as a family pet and helps give inmates the opportunity to work with the community and rehabilitate by working with the retired greyhounds. Select your five favorite fruits and make a healthy smoothie for an after-school snack. Explore the qualities of our planets by creating and painting a solar system model. Jaddua was inspired to start a home business selling edible house plants at farmer’s markets and craft shows. Jaddua was inspired to sell edible house plants at a craft show fundraiser with his 4‑H club this year. He grew the plants by sprouting organic micro-green seeds in cereal bowls and adding Velcro dots for eyes and party mustaches for mouths, which gave each planter a face and funny personality. The little plants were so successful that his project inspired his older brothers, Abram and Osiah, to help him create a fun and unique home business called Mr. Mustachio’s Micro-Greens – Kits and Sprouts. They’ve had strong sales so far and have received exciting feedback from customers at farmer’s markets and craft shows. The boys hope to introduce easy-to-grow healthy micro-green kits to homes across New Mexico and beyond. For a limited time, every dollar you give to 4‑H youth will be matched up to $100K! Help us reach more kids with the hands-on learning experiences they deserve in life and career. Join Guinness World Records in celebrating their 14th annual #GWRDay! Download the activity guide so that you can participate in a global celebration of record-breaking and put your skills to the test! Janah was inspired to help children in her community through the local Toys for Tots program, collecting and distributing over 10,000 toys in 2016 and 2017. 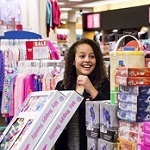 When Janah was six years old, she asked about an empty Toys for Tots box she saw at Walmart. Her mom explained that it was to help less fortunate children have toys for Christmas. From that moment on, Janah donated her birthday gifts to Toys for Tots and both her and her mom started volunteering at Toys for Tots in Klamath Falls, Oregon. In 2016, the Toys for Tots program in Klamath Falls was at risk of losing its program coordinator. Janah knew she had to do something. Her family took over the program, reaching over 3000 families and collecting and distributing over 10,000 toys in 2016 and 2017. Toys for Tots is Janah’s passion she spends the year fundraising and organizing events for the program. This September, Janah helped raised over $11,000 for the program at a local golf tournament. Not only does Janah help change kids’ lives through Toys for Tots, but she is also an honor roll student, volunteers about 500 hours each year for several organizations, and plays on the basketball team. Embrace autumn by going pumpkin picking or preparing a healthy treat like pumpkin hummus or oatmeal. Volunteer at a local animal shelter to walk and care for the animals. Jagger was inspired to help World War II veterans visit Washington, D.C. memorials in honor of their service. Jagger was inspired to thank veterans after learning about World War II four years ago. After watching a PBS special on D-Day, he had an idea to offer a paper airplane to anyone who donated to Honor Flight Northeast Indiana, an organization that gives veterans the opportunity to visit Washington, D.C. memorials dedicated to their honor and service. Jagger set up booths at community meetings, local non-for profit clubs, universities and churches to raise money to help veterans go on an “Honor Flight” to Washington, D.C. He raised enough funds — all on his own — to send nine veterans on Honor Flights so far. Through his efforts, Jagger also helped raise awareness for Honor Flight Northeast Indiana, introducing it to a World War II veteran who was unaware of the program and securing him a seat on an upcoming flight for him. Practice and grow your leadership skills by reading a chapter of your favorite book aloud to a friend or family member. Every day 4‑H is inspiring kids to do. Help impact more 4‑H youth by making a donation and your gift will be doubled, up to $100K! Get a group of friends or family members together to pick up trash at a local park or garden. Jordan was inspired to feed the world, one community at a time. Jordan was inspired to feed the world, one community at a time. As a child with dyslexia and attention deficit disorder, Jordan was told he would never succeed in school. But through his passion for horticulture nurtured by his grandmother and 4‑H, he has been able to channel his energy and do with purpose. 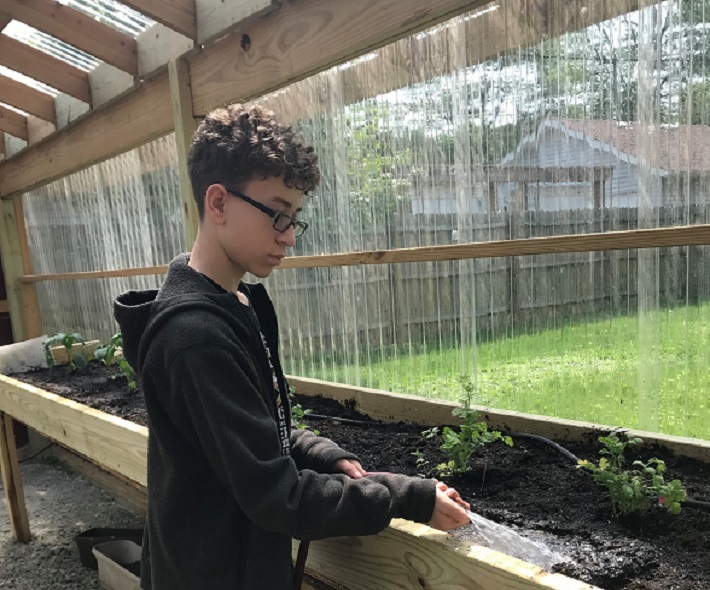 Jordan requested permission from his school to revitalize an old greenhouse on the property as an independent study project. Through this project, he trains younger students to help manage the greenhouse and plants, while cultivating a passion for horticulture and healthy eating. The benefits extend to the larger student population and community as he has been able to grow fresh produce for the cafeteria and the community. Make a gratitude list for Thanksgiving. Ask your family members to also create a list of thanks and share them with each other. Learn coding in a fun, hands-on way with the 2018 National Youth Science Day challenge, Code Your World. Emma was inspired to speak up to her congressman to change the treatment of her community’s local waters. Emma was inspired to contact her local congressman about a local water crisis: the discharges from Florida’s Lake Okeechobee contaminated water into the Indian River Lagoon. This crisis concerned Emma so much that she wrote to her Congressman, Brian Mast, who invited her to come and speak to several other congressmen, senators and the Army Corps of Engineers in Washington, D.C. about the issue. Emma lobbied to change the treatment of her community’s local waters and would like to see the water sent south into the Everglades, rather than pollute the estuary that she loves. Emma can’t wait to go back to Washington, D.C. to speak up again and bring clean, safe water to her community. Practice taking pictures of the world around you: your family, friends, pets and community. Today is Giving Tuesday! Donate now and your gift will be matched dollar for dollar by our generous donor, Square Panda, up to $10,000! Volunteer at a soup kitchen in your town this holiday season. Brooke was inspired to collect thousands of books for Mayo Clinic patients to read during their treatments. 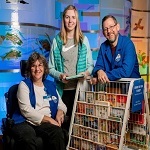 By collaborating with the Mayo Clinic, local and national businesses and 4‑H groups from Southern Illinois, she collected over 5,000 new and used books within three months for Mayo Clinic pediatric patients to read. It is the largest single donation to date. Brooke’s non-profit is going strong and will be conducting another book drive in the spring. Ultimately, Brooke plans to expand the organization to other regional hospitals. James practices origami and runs his own monthly origami meetup at the local library. 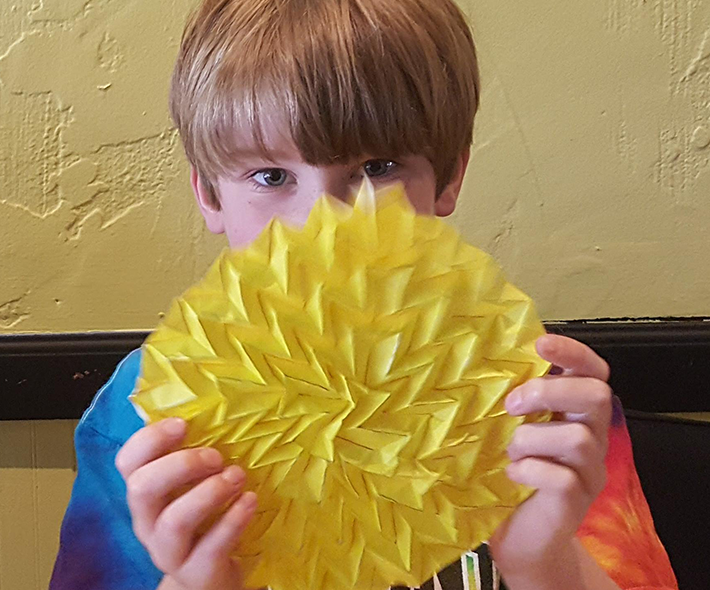 James practices origami every day, runs his own monthly origami meetup at the local library, and has his own origami booth at the annual Mini Maker Faire. He loves to give away his models to inspire people with the possibilities hidden in a single piece of paper. James is inspired to create art, advance his skills and share his passion. Have a friendly competition and hold a family gingerbread house decorating contest. Celebrate Family & Consumer Sciences Day by dining in and making a healthy, homemade meal with your family. Check out resources to prepare and cook a family meal at the link below! Help create a better future for thousands of kids across America. Donate now to have your gift generously matched up to $100K! Ty knows the importance of healthy living and is exploring the medical field by volunteering at a local pediatrician’s office. Ty volunteers at a local pediatrician’s office to gain experience and explore the medical field. As a former Make-A-Wish kid, Ty knows the importance of healthy living and how pediatricians play vital roles in children’s lives. Through 4‑H, Ty found a place where he feels he truly belongs. Collect winter coats that you no longer use and donate them to a local charity to help families in need. Light up a neighbor or friend’s yard by decorating tea lights with holiday crafts! Sponsored by Ponysitters Club. Create your own Christmas village with decorating unfinished bird houses. Consider creating a replica of your own neighborhood! Brought to you by JOANN. Jillian discovered her passion for gardening and cooking by regrowing celery in her kitchen. Jillian discovered her passion for gardening and cooking by regrowing celery in her kitchen. The celery stock quickly began to grow in a small cup in water. This quick transformation inspired Jillian to try to grow other vegetables like leeks and potatoes, and turned out to be a wonderful activity to inspire gardening and cooking. Alana is inspired to be kind by collecting items and creating homeless care packages for her 4‑H leadership project! How are you inspired to be kind? Join 4‑H and Ponysitters Club in highlighting kids being kind by sharing your photos on social media using #4HInspireKindness! Gather your friends or family together to create handmade fleece scarves and tie them around trees near a homeless area. Ashini started a program called Sister Science to help kids discover their curiosity for science. Ashini started a program called Sister Science that stimulates curiosity for science. This program educates young children about the wonders of our hidden universe and brain to spark curiosity at a young age. She hopes that one day these children will learn to love and appreciate science! This group of 4‑H’ers is inspired to be kind by delivering food baskets and volunteering at the homeless shelter! How are your kids inspired to be kind? Share a photo using #4HInspireKindness to join 4‑H and Ponysitters Club in highlighting kids being kind! Help us inspire more kids to do. For a limited time, every dollar you give to 4‑H youth will be matched up to $100K! family members in your life. Sponsored by Ponysitters Club. Give back this holiday season and make homemade holiday cards or care packages to share with your local Veteran Administration’s Office. Drake is inspired by aerospace science, and loves to learn about different types of rockets! 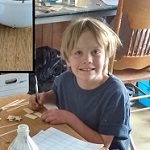 Drake loves to build and launch rockets, and has learned about the importance of following directions carefully to ensure they launch properly. Drake has learned what types of rockets are best for precision landings, height and longest duration. He is excited to continue learning about aerospace science. These Michigan 4‑H’ers made blankets for hospice with their 4‑H club! How has your kid shown kindness? Join 4‑H and Ponysitters Club in sharing photos of kids being kind using #4HInspireKindness! Brighten up a local nursing home by decorating and hanging paper snowflakes. Violet stays active by riding her bike while wearing the proper safety equipment. Violet is inspired to stay active and ride her bike because she knows that practice improves her skill level and influences her younger brother. Violet rides her bike daily and always wears her helmet because she is inspired to be a role model for her younger brother. Violet is proud to be a big sister! With your support, we can create the next generation of leaders who are inspired to do. Donate now and your gift will be doubled up to $100K! Read a holiday classic every night in December and discuss with your family what the book means to you! Alexandra was inspired to co-teach a series of coding workshops to represent girls of color in STEM. Alexandra is a leader who represents girls of color in STEM. She enjoys watching younger students fall in love with science, and was inspired to co-teach a series of coding classes at her local library for grades 3-5 where they built websites, coded in Scratch and Java and played with various types of robots. She also organized a workshop for girls in an underserved community where she taught a lesson on circuitry. Alexandra’s most recent workshop was leading the 4‑H Code Your World workshop, which was part of this year’s National Youth Science Day challenge. She looks forward to creating more opportunities to teach and inspire others to do STEM. Craft a pillow to remind you of your wishes and dreams for the New Year. Brought to you by Ponysitters Club. A group of Arizona 4‑H’ers donated clothes along with handwritten notes for a domestic abuse hotline. They also collected hygiene products and created a kindness tree. Join 4‑H and Ponysitters club in sharing acts of kindness by using #4HInspireKindness! Last chance! Donate to support 4‑H youth before midnight tonight and have your gift doubled up to $100K. Kick off the New Year with a marshmallow catapult! Find the materials and instructions at the link below. Brought to you by Guinness World Records. Learn about the architecture and beauty of bridges. Find a bridge nearby to visit in person and identify what makes it unique from other bridges. Kayla is inspired to be kind with her Kayla’s Kindness Project she created to provide bags with games, toys and goodies to give to children in the hospital! How does your kid show kindness? Share your photos using #4HInspireKindness! Delaney is inspired by her Old English Sheepdog mix to find the best in even the smallest moments. A simple run through the field can inspire joy in us all. Research different types of butterflies. Then, learn how to identify and describe each kind of butterfly. Cash inspired the City Council to pass an ordinance prohibiting the use of tobacco products at outdoor city parks. Addie is inspired by her horse, Fancy, because together they have an unspoken connection, which causes their movements to be in sync. When Addie puts her foot into the stirrup, she feels their strong connection. Interested in STEM? Visit the 4‑H STEM Lab for fun, hands-on STEM activities for kids of all ages to do anywhere! 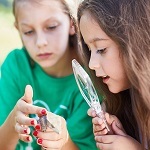 Develop fine motor skills and curiosity by examining an insect with a magnifying glass! What’s your favorite color? Research and find plants that are your favorite color, and start planning a home garden for when spring arrives! Learn different types of paper craft techniques, including card making, decoupage, origami, paper embroidery, embossing and more! Cynthia is inspired by her chicken, Buttercup, to break out of her shell to become an achiever in 4‑H. Buttercup helped Cynthia and her brother to shine on their own as individuals. Learning an instrument is a great way to practice coordination, discipline and creativity. Identify the families of instruments and select one you’re interested in learning! Vanessa worked on a leadership project to bring a library and community gardens to her town park. Pierce has learned not only safe handling of a firearm and marksmanship, but also life skills like confidence, self-discipline, problem solving and sportsmanship through a 4‑H Shooting Sports project. He hopes to be a USA Olympic competitor someday. Who knew that medieval warfare could be so tasty? Team up with a buddy and see how many marshmallows you can fire into their mouth. You definitely need goggles for this activity from Guinness World Records! Create “smile it forward” notes of kindness and leave them in places around your community for others to find. Help your child try their hand at being an engineer with the NEW 4‑H STEM Lab activity, “Parachute Away!” Learn how to harness the power of physics to safely deliver an egg to the ground in a parachute in this HughesNet sponsored activity! Available starting February 4. Alaina has developed a plan to help those in need in her community by donating fresh, cage-free eggs to a local food bank so that the recipients have a healthier food option. She hatches the eggs, raises the chicks, and cares for the laying hens daily! Go on a winter hike and observe the different types of trees, plants, and wildlife that you see. YOU can make a difference. Help kids learn by doing, grow from failure and develop the skills they need to handle what life throws their way. Cook up a snowman pancake breakfast by using two pancakes for the body and head, bacon for a scarf, pretzel sticks for arms, and blueberries for buttons and eyes. Sprinkle with powdered sugar to look like snow. Get creative and make your own! Celebrate Valentine’s Day by making tassel key-chain Valentines that your friends will love! Joslyn brought Crayola Colorcycle to her school and 4‑H club, giving kids the chance to collect and repurpose used Crayola markers. She now has bins at three schools, two libraries, 4‑H, and a local moms group. The bins have collected more than 3,000 markers! Celebrate National Engineers Week with the NEW 4‑H STEM Lab activity, “Building Bridges” where kids learn about engineering by building their own bridge! Available starting February 17. Janet is inspired to teach people about the benefits of raising Pygmy goats at a fall festival. Speaking to the public improves her self-confidence and allows her to share her knowledge about Pygmy goats as well as her wonderful local 4‑H program! Hold a clothing drive in your neighborhood to help local families by collecting clothes and winter coats that you no longer use. Mathew is inspired by the four seasons. He loves winter and using creativity to build things, so he can’t resist making his own Frosty the Snowman. He loves to play and build in the snow as soon as it starts to fall! Repurpose old crayons and turn them into art! Glue the crayons to a foam board or canvas and use a hair dryer to melt them into colorful art. Visit your local JOANN store and support 4‑H kids in your community with a clover purchase, now through April 30! Click below to learn more and get 15% off on JOANN purchases. Colin loves to follow and identify tracks from animals and people in his backyard. Colin’s adventurous spirit inspires him to explore his surroundings! March is National Nutrition Month! Host a fruit and vegetable taste test by cutting up colorful produce and tasting each to see which ones are the family favorites. Carter is inspired to take bicycles on his family vacation so that his family can enjoy the scenery while exercising. Did you know that March is Youth Art Month? Visit an art museum or gallery and discuss what piece of artwork is every family member’s favorite. Keep your neighborhood and the environment clean! Get a group of friends or family members together to pick up trash at a local park or garden. Heidi was inspired to make a project to show the life cycle of a sea turtle after she visited a sea turtle sanctuary in Georgia last summer. Alana is inspired to be kind by collecting items and creating homeless care packages for her 4‑H leadership project. Mason is inspired to learn about welding, which helps him grow personally, learn from his dad, and work towards his future goal of becoming an engineer. Spring is here! Take a walk around your neighborhood and see if any plants or flowers are starting to blossom. Ready to change kids’ lives? Help kids learn critical life skills, grow from failure and learn to handle what life throws their way. Brayden is inspired to work in the 4‑H food booth during the county fair over the summer. Check out the 4‑H STEM Lab to find some fun and educational STEM activities! Aaron was inspired to learn how to preserve peaches with his family and is excited to use them to make smoothies. Get outside this spring and take a “penny walk” to see everything that is springing to life! “Penny walks” help kids explore new surroundings and get physical exercise at the same time. Thanks to Pearl, Michigan 4‑H. Mayyadah is inspired by her passions for STEM and the outdoors to lead younger 4‑H’ers in geocaching. Create a “worry journal.” For one week, if you feel worried or anxious, take out a journal and write down how you feel. Write a few sentences, draw pictures, paint or even make a collage. Hold a family yoga session to release stress, work on your flexibility, and focus on breathing.